Heather was Clay’s first office hire in 2003. While she originally was hired to be the office manager, Clay soon realized she had awesome design skills that would be valuable to the company. After 10 years, as the company continued to grow and it became clear that both roles needed someone who could devote 40 hours a week to them, Heather began focusing on design only. Heather has the best eye for interior home décor and design in the business. It’s that simple. Which is appropriate, by the way, since simplicity is one of her watchwords. WOW! is another because that’s what you’re going to say when you walk into your finished dream home for the first time. 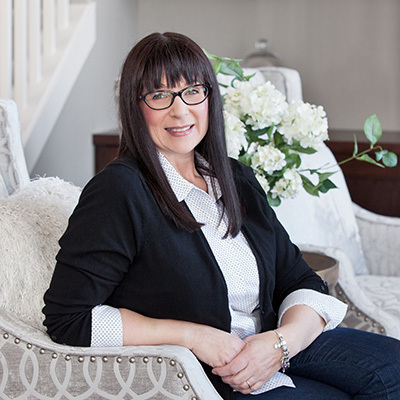 Heather will take you through a detailed, step-by-step process to get to know your style, personality and desires for your home, then weave all the bits and pieces into a living space that’s both sanctuary and showcase. Form, function and aesthetics all come together beautifully under her watchful eye, and she makes sure the process is as easy as possible along the way. Heather has already taken custom home design to another level that gives Dietrich Homes a strong competitive edge. Even so, she invests a lot of time keeping up on the latest products. Heather’s own life is a collage of colors and textures, too. She and Todd have two kids, she volunteers for Cowboy Up Ride Against Cancer, designs jewelry and bridal broach bouquets, enjoys riding through the hills and prairies in their side-by-side 4-wheeler, and cheers for the green and yellow every fall – either the North Dakota State University Bison or Green Bay Packers will do, thank you very much.